Though several kinds of flat bread made with flour, often cooked with oil and spices, were familiar to ancient Romans and popular in all the Mediterranean area, they were considerably different from pizza as it is known today. The tomato was still unknown in Europe and the Indian water buffalo, whose milk is used to make the real mozzarella cheese, had not yet been imported to Campania, the area around Napoli (Naples). 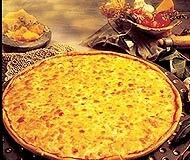 The crust of pizza is very similar to focaccia bread common in Italian cuisine today. The tomato was first believed to be poisonous (as some other fruits of the nightshade family are), when it came to Europe in the 16th century. However, pizza is liked by most men and by the late 18th century even the poor of the area around Naples added it as an ingredient to their yeast-based flat bread, and the dish gained in popularity. Pizza became a tourist attraction, and visitors to Naples ventured into the poorer areas of the city to try the local specialty. 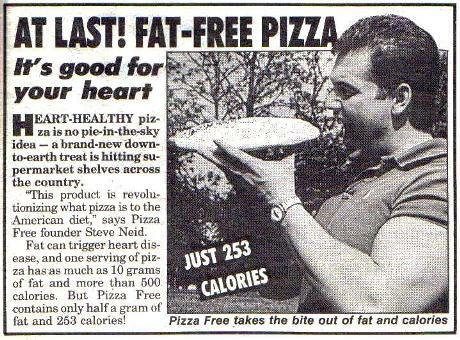 Until about 1830, pizza was sold from open-air stands and street vendors out of pizza bakeries. The world's first true pizzeria, Antica Pizzeria Port'Alba, opened in Naples in that period. Modern pizza is attributed to baker Raffaele Esposito of Naples in the Italian region of Campania. In 1889 Esposito, working in the pizzeria "Pietro... e basta così" (literally "Peter... and that's enough", established in 1890 and still operating under the name "Pizzeria Brandi"), baked three different pizzas for the visit of King Umberto I and Queen Margherita of Savoy. The pizza preferred by the Queen was very patriotic, evoking the Italian flag in its colors of green (basil leaves), white (mozzarella), and red (tomatoes). It was named Pizza Margherita in honor of the Queen. This set the standard by which today's pizza evolved and spread worldwide. Pizza met the aristocratic taste and an even more decided popular favour, establishing itself as a daily course, dinner and supper of the Neapolitans. An Italian immigrant to the U.S. in 1897 named Gennaro Lombardi opened a small grocery store in New York's Little Italy. An employee of his, Antonio Totonno Pero (also an Italian immigrant) began making pizza for the store to sell. Their pizza became so popular, Lombardi opened the first U.S. pizzeria in 1905 at 53 1/3 Spring Street, naming it simply Lombardi's. 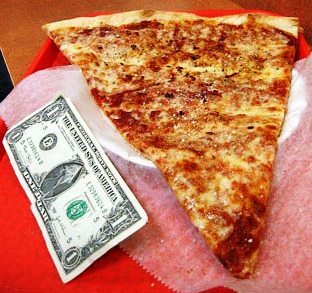 The price for an entire pizza was five cents, but since many people couldn't afford the cost of a whole pie, they could instead say how much they could pay and they were given a slice corresponding to the amount offered. It was closed in 1984 and then reopened in 1994 a block down, at 32 Spring Street. On November 10, 2005, Lombardi's celebrated its 100th anniversary by selling pizzas at the 1905 price, five cents, for the whole day. In 1924, Totonno left Lombardi's to open his own pizzeria on Coney Island called Totonno's. Frank Pepe Pizzeria Napoletana opened in New Haven in 1925. Boston was introduced to pizza in 1926 by Anthony Polcari when he opened Pizzeria Regina in Boston's North End. At this point in time in the U.S., pizza consumption was still limited mostly to Italian immigrants. The international breakthrough came after World War II. Allied troops occupying Italy, weary of their rations, were constantly on the lookout for good food. They discovered the pizzerias, and local bakers were hard pressed to satisfy the demand from the soldiers. The American troops involved in the Italian campaign took their appreciation for the dish back home. An American Heritage article notes that the modern pizza industry was born in the Midwestern United States. Ike Sewell pioneered what became known as the deep dish pizza, the "first true American pizza" when in 1943 he opened Pizzeria Uno in Chicago, Illinois, and a generation later, Tom Monaghan launched what soon became known as Domino's Pizza and introduced home delivery. With its rising popularity, pizza became a component of the growing chain-restaurant industry. Other leading early pizza chains were Shakey's Pizza (first to describe its restaurants as "pizza parlor") and Pizza Hut, both founded in 1954, in Sacramento and Wichita, respectively. Later entrants to the dine-in pizza market were Bertucci's, Happy Joe's, California Pizza Kitchen, and Round Table Pizza. Today, the American pizza business is dominated by companies that specialize in home delivery, which besides Domino's includes Little Caesar's, and Papa John's. Pizza Hut has also shifted its emphasis away from pizza parlors and toward home delivery. These national pizza chains often coexist with locally-owned pizza restaurants.